Nominations for the 2019 Oslo Business for Peace Award have now closed. 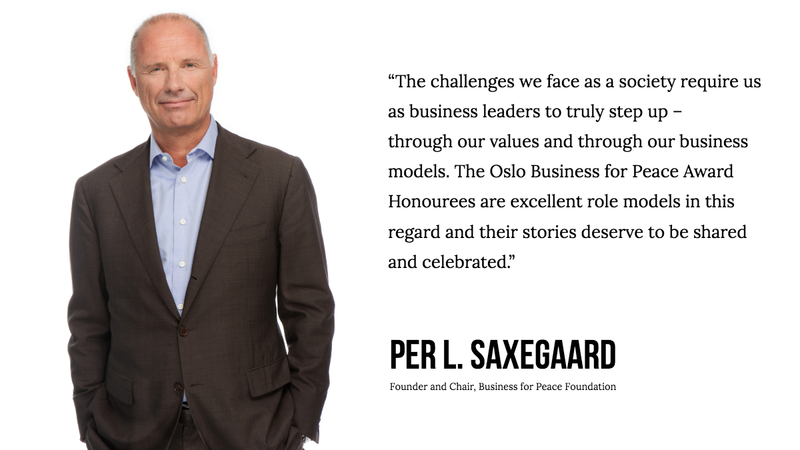 Business for Peace is seeking candidates for the 2019 Oslo Business for Peace Award. Candidates can be nominated through the Foundation’s global partners: International Chamber of Commerce, United Nations Development Programme, United Nations Global Compact and, new this year, Principles for Responsible Investment. The Award, first conferred in 2009, is the highest distinction given to a business leader who exemplifies outstanding businessworthy accomplishments: ethically and responsibly creating value both for business and society. 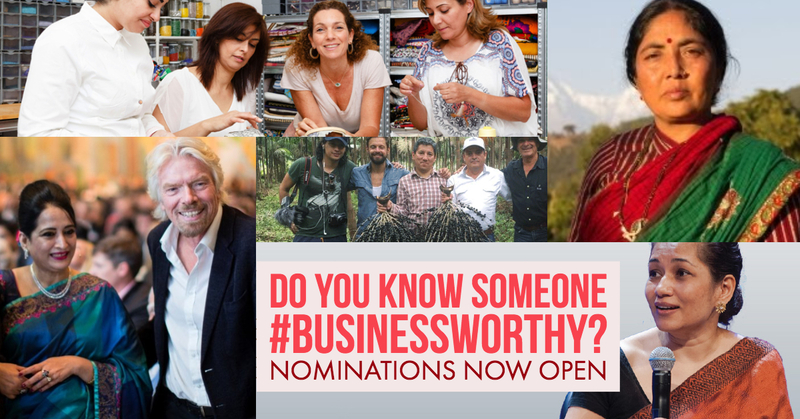 Help us celebrate businessworthy leaders and nominate a candidate for the 2019 Award by using our partner nomination tool via the links below. Candidates can come from a wide variety of business backgrounds and industries. Previous Award recipients range from a United Kingdom product designer who has created sustainable refrigeration, to a Nigerian entrepreneur who has increased the overall returns to rice farmers through improved quality, enhanced productivity, and guaranteed crop buy-back. Following the nomination process, Honourees will be selected by an independent committee consisting of Nobel Laureates in peace and economics. The current Award Committee consists of Ouided Bouchamaoui (Tunisia), Shirin Ebadi (Iran), Leymah Gbowee (Liberia), Finn Kydland (Norway), and Eric Maskin (USA). 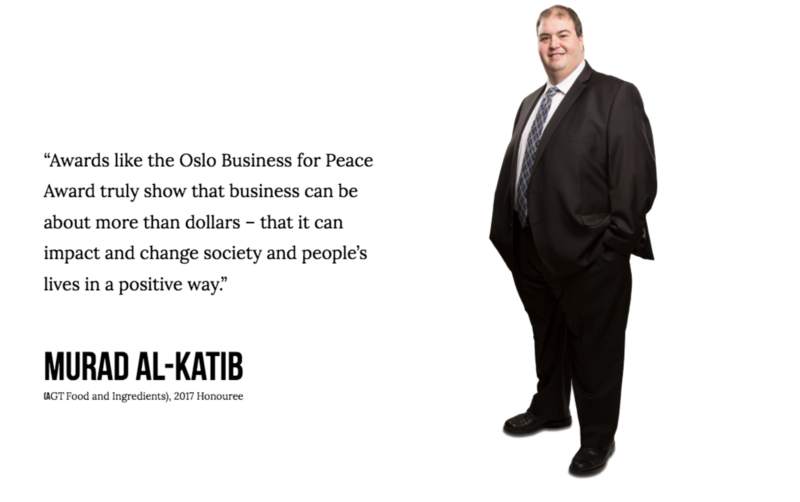 Winners of the 2019 Oslo Business for Peace Award will be announced March 20, 2019 and will be presented with the award at Oslo City Hall May 15, 2019 in a public ceremony. Previous winners include Elon Musk (Tesla and SolarCity), Paul Polman (Unilever), Marilyn Carlson Nelson (Carlson Companies), Richard Branson (Virgin Group), Sarah Beydoun (Sarah’s Bag), Edgar Montenegro (Corpocampo), Martin Naughton (Glen Dimplex Group), and Durreen Shahnaz (Impact Investment Exchange). This entry was posted	on Tuesday, August 21st, 2018 at 12:20	and is filed under Blog, News. You can follow any responses to this entry through the RSS 2.0 feed. Both comments and pings are currently closed.